The Rovies olive grove was created by Andonis Papadopoulos, a man who adored the OLIVE TREE, from 1923 until 1963, it extended from the seashore up to the foothills of the nearby mountains, Kavalaris (Xiron Oros) and Telethrion covering about 350 hectares and 70,000 olive trees. 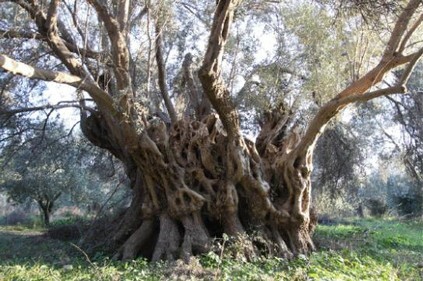 There are some very old olive trees in Rovies proving that the cultivation and production dates far back maybe 1000 or even 2000 years. 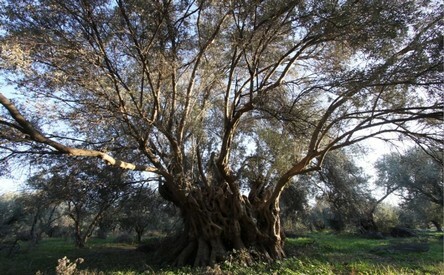 We consider these trees as real monuments, like Parthenon, they carry a very long history and we must respect them. Anna Papadopoulou the daughter of Andonis Papadopoulos from 1974 until 1981 proceeded to donate the olive grove to the workers, working in the grove, in pieces ranging from 5 to 10 hectares. She also proceeded to grant, for free, the use of the olive grove establishments, for processing the olives, to the Rovies Agricultural Cooperative. This is how the Agricultural Cooperative of Rovies became active and started its operation from 1981 until today, gathering, processing, packaging and marketing the table olive production of the olive grove. We are about 130 member producers and workers.In all the processing and packaging activities, only members of the cooperative are working.